Located a stones throw from the Murrumbidgee River and in the heart of Wagga's business district, Romano's is a Riverina icon. In his early twenties, while officiating as head waiter at London's Ritz Hotel, he adopted Romano as his surname, reflecting his regard for one of the city's most renowned restaurants. In 1923, Romano come to Australia to run the luxurious Ambassadors restaurant in Pitt Street, Sydney. 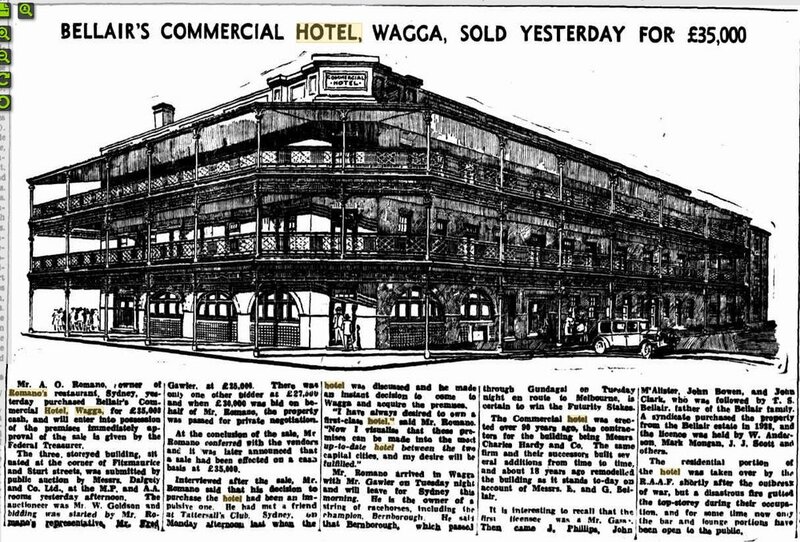 Four years later Romano's Restaurant opened in York Street and in 1946 he purchased and lavishly rebuilt what is the current Romano's Hotel Wagga Wagga.